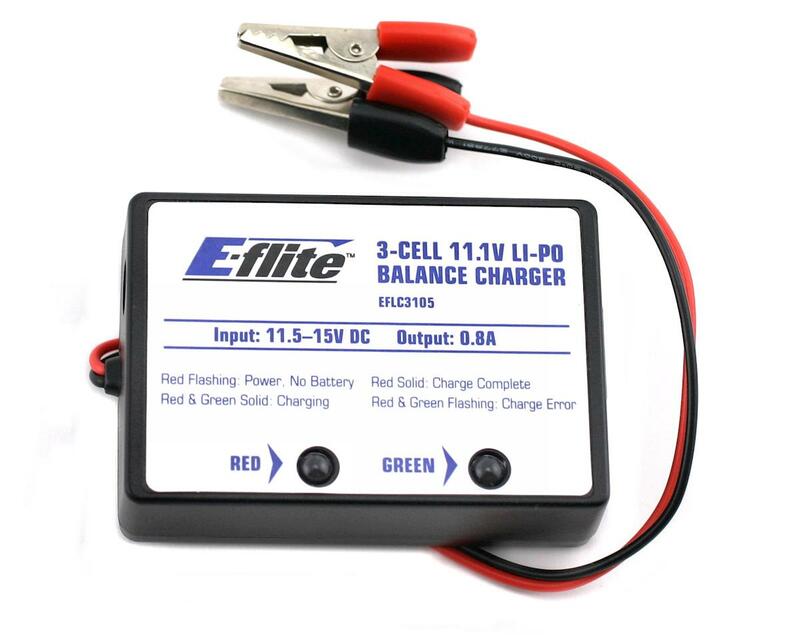 This is an E-flite 3 Cell Li-Polymer Balance Charger used for charging 3 cell (11.1 volt) Lipo batteries. It operates from a 12vdc power source and charges through the battery balancer connector. Two easy to see bi-colored LED's give a clear indication of the charger's status. Output charge rate is 0.8A. Red flashing: Power, No Battery. Red and Green solid: Charging. Red and Green Flashing: Charge error. 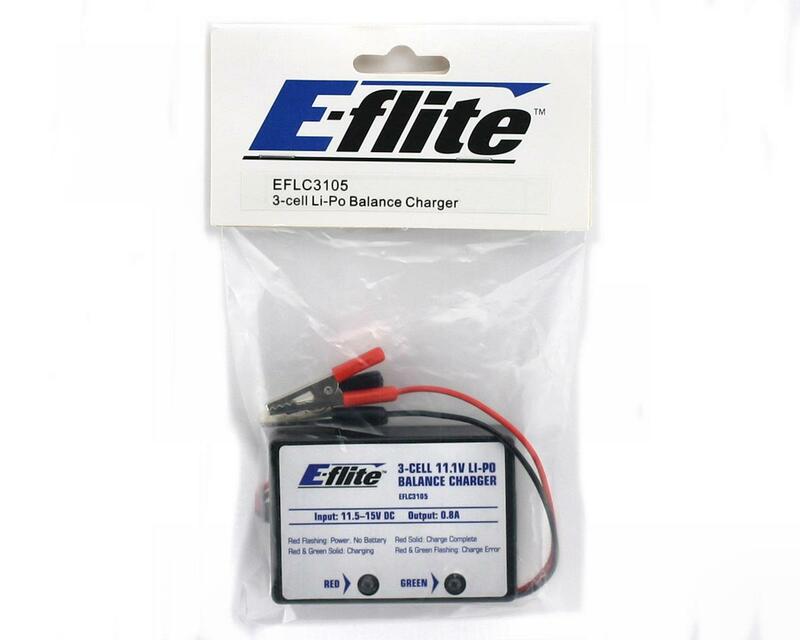 Requires a charger input of 11.5 to 15.0 volts DC or E-flite 12 volt charger/transformer power supply (EFLC4000).